Notice one common thing: the Melbourne Stars are yet again travelling to Perth for a semi-final. Not that it’s the be-all-and-end-all, but it is not the first time the men in green will take to the plane out west. Another little niggle is the amount of depth the Stars are missing: Messrs Faulkner, Maxwell, Hastings (injury), Zampa…there’s a list. The momentum is with Perth this time; after coasting into the finals, fresh from downing the Hurricanes in Hobart, mind you, there’s a lot to like about the Scorchers. Shaun Marsh is still at the top of the order – hardly much as changed. Advantage still remains with Perth. The big test is for the Stars to go over to the WACA, and back up last season’s performance; make it again to the BBL final. The dynamic in finals changes; yet it just needs to be treated as another game. 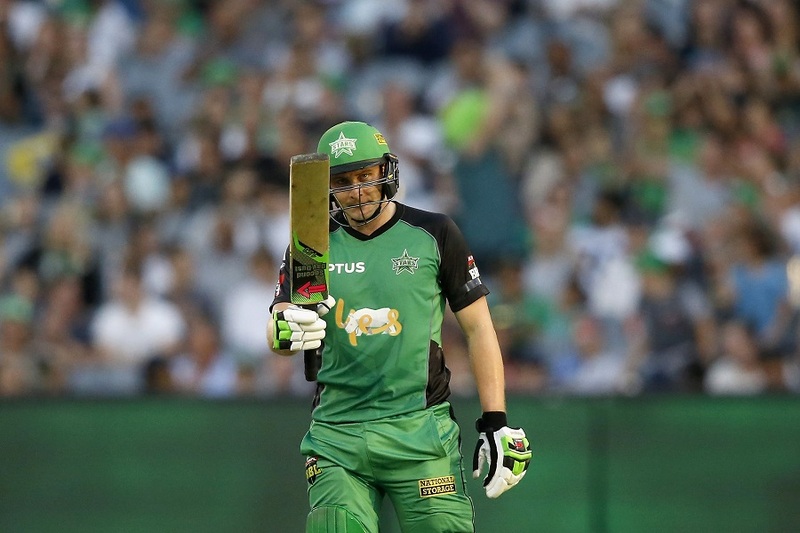 After the loss to the Sydney Sixers on Saturday night at home, the Stars will still be stinging. From setting a target of 157 (which, by all means, wasn’t bad), to having Sean Abbott clatter 30+ runs in a matter of overs to push them into 4th, there’s plenty to play for. The mainstay top three have scored a lot of runs for the Stars this comp. It is obvious they need to fire; and then need to be backed up further down the order, once the batting falls past captain David Hussey. -the old “cricket is a funny game” saying. Head to head in finals, the Scorchers are up 3-1 over the Stars. A mental mindset advantage is already in play. But in cricket, as in any sport, it’s the old cliche: anything can happen. The powerplay. Perhaps T20’s best batting weapon, the first 6 overs are a real indication of where the game might be heading. Finish it off with a high score, and minimal or no loss of wickets, and something big is in store. Go the opposite, though, and you might find yourself treading water for a while. If Perth make it through, they have a chance to take three of the first six BBL trophies on offer; an impressive effort. The ball is in the Stars court. Win, and it’s back to back BBL grand finals. Key to Melbourne is the ability to keep the consistency of 20 over scoring; no fits and starts, and protecting wickets at all costs. That might sound like a crazy idea in a game over in just a few short hours. After blitzing the power play against the Sixers and finishing it at 1/59, they limped to 8/156 – dropping their run rate by over two runs. The Scorchers have plenty going for them tonight, with a well-rounded squad to go the distance.